How to delete a page in "Schoolmates"
Social networking is incredibly popular among people of all ages. To chat with friends in the "Classmates", you only need to register and complete your profile. But what if you are tired of sitting in the social network? You can delete your page in the "Classmates". Many wanting to part with social networking, time-consuming, can't figure out how to remove your page in the "Classmates". If the registration button located in plain sight, the option "delete profile" to find quite difficult. Many users even think that to get rid of the page in the "Classmates" forever impossible. - confirm the deletion password and click on "Delete forever". When you complete all above steps, your page will be removed from "Classmates". However, if you tied it to your phone number within the next three months you will not be able to register a new profile. Deleting a page will be irretrievably lost, all specified in the form information, photos, wall posts, private messages and other data. Data recovery profile and the page in "Schoolmates" after removing the impossible. So, before you take this step, you need to consider, and if necessary, first save the whole information stored in the profile. There is another way to learn how to delete a page in the "Classmates". It is much easier than the first, but doesn't always work. To get rid of the boring social network profile, you must log in to the site "Classmates", clicking on your page. 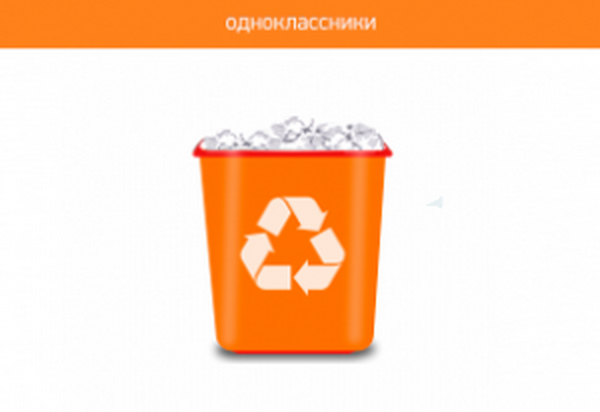 In the address bar in the browser you can see the name of the site http://www.odnoklassniki.ru/. To delete a page, click the site logo, and there appears after a slash ( / ) your ID number. For quick removal copy the text &St. layer.cmd=PopLayerDeleteUserProfile and drag it into the address bar after your ID. To complete the operation, press the Enter button. In the resulting window, confirm your desire to delete the page in the "Classmates".